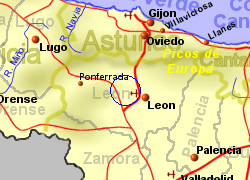 The course at León Club de Golf El Cueto, designed by Manuel Piñero and built in 1993, is located 14Km south west of Leon city centre. The course is par 72 with a length of 5429 to 6325m and has several lakes and other water hazards, whilst being mostly flat. 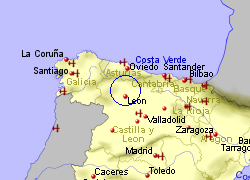 Facilities include a golf school for beginners, driving range, chipping and putting greens. 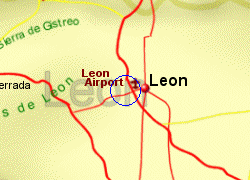 Map of the Leon Golf El Cueto area.